As Coker Craig pointed out in her testimony, people in Pinetops lobbied their state elected officials hard to obtain an exemption to the state law in order to keep Greenlight in their community. After significant influence from big cable and telecom, the North Carolina legislature passed a bill that let Greenlight continue to serve Pinetops, but only until a private sector provider decided to enter the community. Earlier this year, Suddenlink declared its intention to enter Pinetops and in June they began deployment. As Coker Craig describes in her testimony, the people of Pinetops didn't greet Suddenlink with open arms; they're concerned that the cable company won't provide the level of service they need, especially with regard to upload speed and universal coverage. Many people in Pinetops fear they'll be forced to once again step back in time and sign up with slow, unreliable DSL from CenturyLink. The hearing, which was on challenges and solutions to rural broadband, also included testimony from representatives of the satellite, wireless, agriculture, and healthcare industries. Rep. Marsha Blackburn chaired the committee; advocates of publicly owned Internet infrastructure are all too familiar with her past efforts to strip local communities of local authority. At the committee meeting, she appeared to continue the same philosophy by expressing in her opening statement that "...we should ensure that government based solutions complement private investment instead of competing with [private investment]." Blackburn ended Coker Craig's testimony before she was finished, cutting her off before she was able to point out that bringing high-quality connectivity to rural areas would require some measure of local authority. Read all of Coker Craig's statement here. 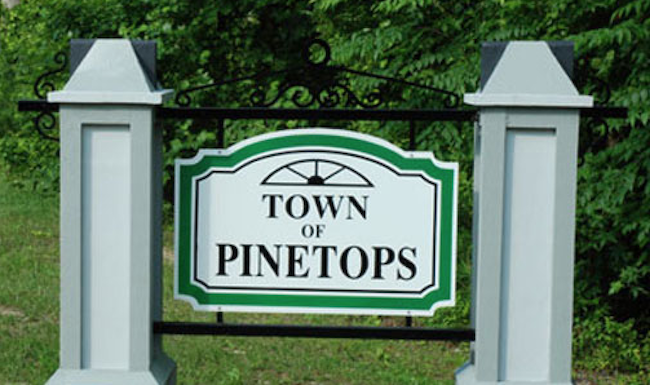 The city of Wilson and Greenlight has received an offer from a private company to purchase its assets in Pinetops in order to compete with Suddenlink and allow the people in Pinetops to still access FTTH connectivity. As Coker Craig points out in her statement, "That’s great news for us, but it is beyond ridiculous the obstacles we have faced in just trying to give ourselves a desperately needed economic tool." Bring the Pinetops story to your community by hosting a screening of the documentary "Do Not Pass Go." To learn more about the importance of broadband access in rural North Carolina, check out our fact sheet.